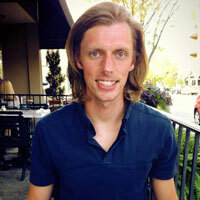 Hey guys, Eric Tarr here for theproudiofiles.com. This is the first of a three-part series on creating a drum mix using FXpansion’s BFD3 and iZotope’s Alloy 2. 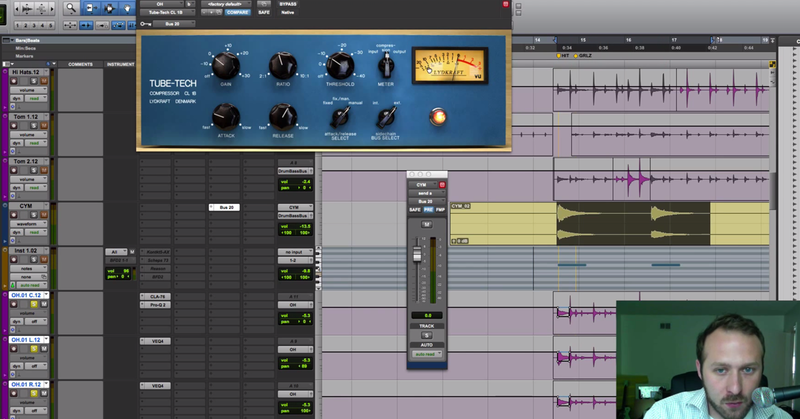 In this video I will be focusing on getting BFD3 split out for multitrack mixing. Let me go ahead and show you the session that I’m working with. For now, I’ll close out of Alloy 2, and I’ll come back to this in the next video. I have BFD3 inserted on an instrument track in Pro Tools. If I switch to the editor window, you can see I have a MIDI performance on this track. These MIDI notes will trigger the different instruments in BFD. I already have kit pieces loaded in BFD. For this kit, I’ve mixed and matched drums and cymbals from many different BFD libraries. I’ve been a long time user of BFD, going back to BFD1 and BFD2. One of my favorite aspects of the software is that it’s really easy to mix and match drums and cymbals from different libraries. Here I have the acrylic kick drum from BFD1. The Haynes snare from the Signature Snares pack. And a ride from BFD3. These are some great sounding drum samples. These samples were recorded at multiple velocity levels and with multiple microphones just like a real drum session. I’m going to take advantage of the multiple microphones to mix the MIDI drum performance just like a regular multitrack drum session. Taking a look at the mixer in BFD3, you can see where the different instruments and microphones show up. 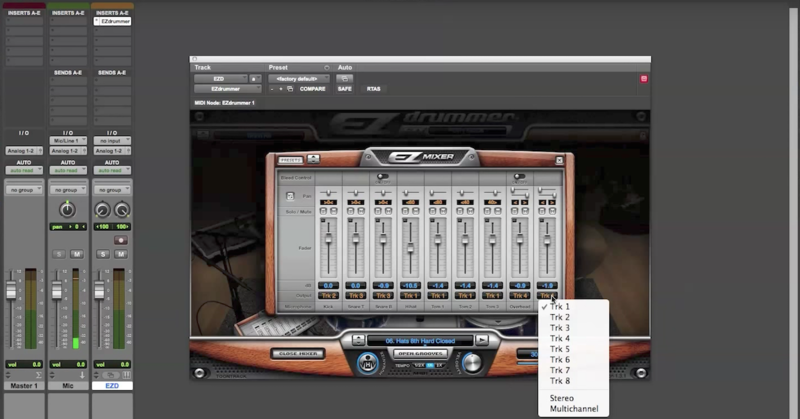 You can create a drum mix inside BFD3 by using the faders for each instrument. Additionally, you could make use of the built-in effects inside of the mixer. 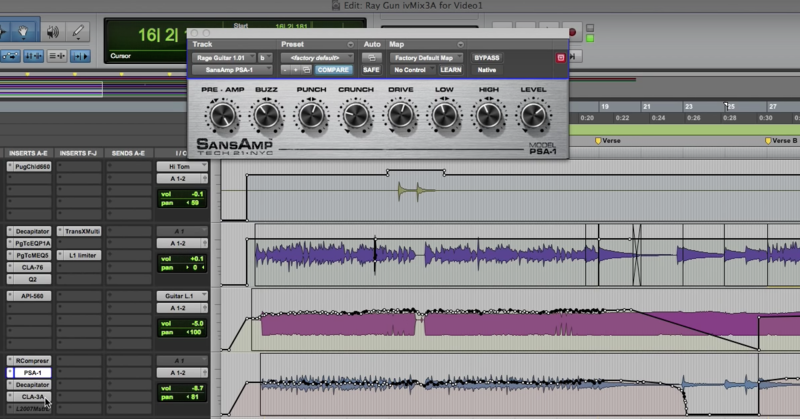 But for the sake of this demonstration, I’m going to split out the signals for multitrack mixing inside of Pro Tools, where I can use iZotope’s Alloy 2 for the effects processing. Let’s look at the mixer. At the bottom of every channel you can see where the output of each channel is routed. It says master. This means all microphones are routed out to the instrument track where BFD3 is inserted. I want to change that so I can process each microphone separately. What I’m going to do is go in on each track and assign the output to a different place from BFD3. Here is the kick drum in microphone. If I want to record the audio just from this microphone I create an audio track in Pro Tools and make the input of this audio track one of the outputs from BFD3. Now when I play the kick drum, just this microphone shows up on this audio track in Pro Tools. I can repeat this for all the microphones in my session. Then I can record audio for each microphone based on the MIDI drum performance. The result is a multitrack drum recording as if I had recorded the drums with a bunch of microphones. I’ve printed the multitrack drum recording with one channel for each track. In my next video I’ll use some basic effects processing on the audio of the various tracks by using iZotope’s Alloy 2.